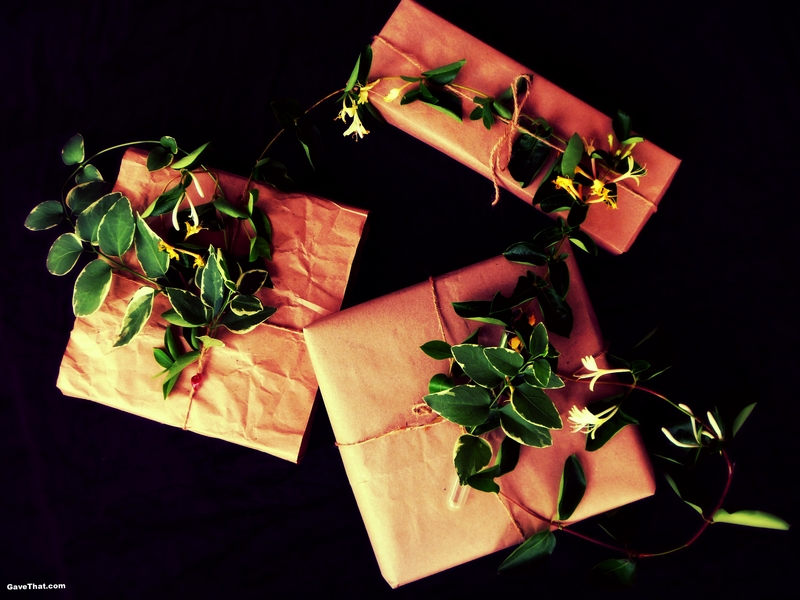 How To Do It: Wrap gifts in paper and secure with double sided tape or masking tape along the underside. 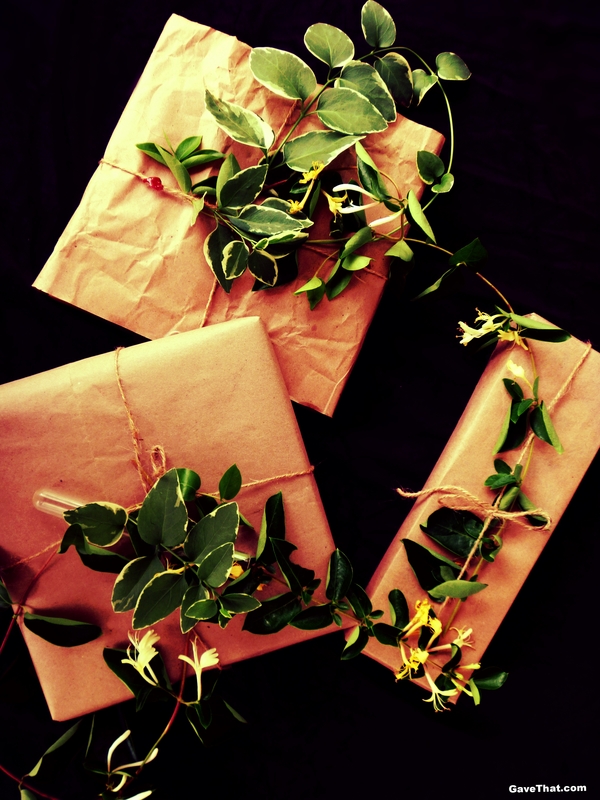 Add twine and secure tightly around gift. This will also help to hold vine embellishments in place. 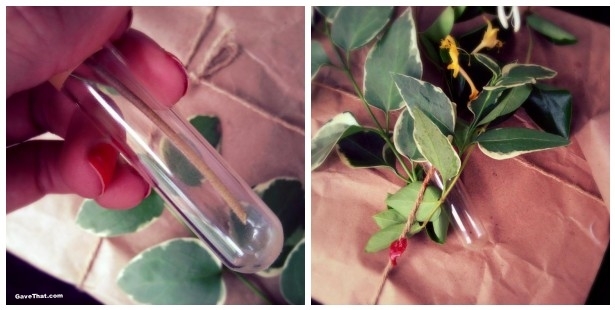 Fill a floral water tube with fresh water, re-cut ends of greenery and push into tube through rubbery cap. Tuck under twine bow and further secure with a piece of masking tape, stretching it across the tube and attaching to craft paper wrapping. Arrange greenery to hide as much of the tube as possible.